In Cambodia, SUN HOUR GROUP ‘exclusively’ imports and distributes ranges of trusted and well known brands which have been tested and recommended for its quality in enlightening your homes. Beginning business as early as 1990 and officially founded in 1996 as an enterprise in Phnom Penh City, over 20 years later, the SUN HOUR GROUP has gone to become the exclusive distributor of many international and cutting-edge brands (TOTO, Ariston Thermo Group, etc) related to water heater devices, water pumps, bathroom accessory and floor tiles. The home countries of those products are: Japan, Italy, United Arab Emirate, and others. 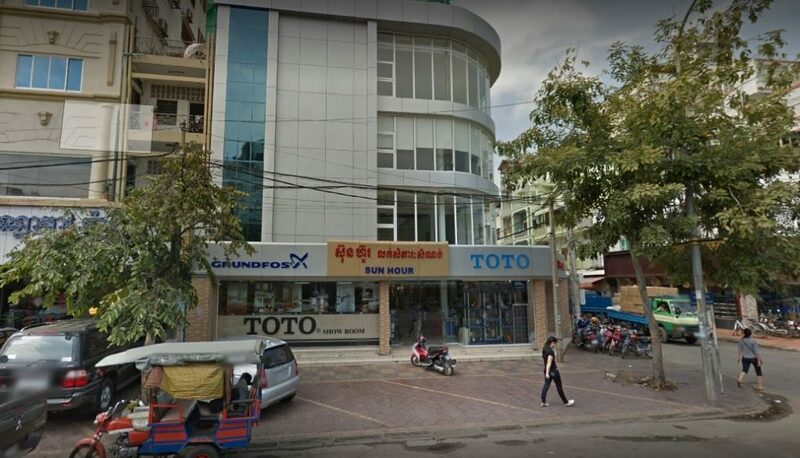 Originally established as a tiny store near Oreusey market, nowadays, SUN HOUR GROUP has 3 showrooms (2 in Phnom Penh City and one in Siem Reap), a hotel and a functional manufacturing plant; plus, our revenue has grown over 6 digits. 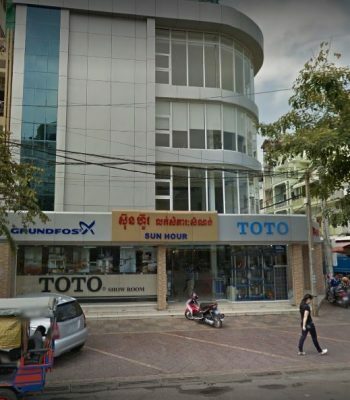 Also, we have supplied many mega construction projects across Cambodia such as: The Sokha Hotel, condos, Bories and ​tens of thousands of private houses. We keep expanding and with over 300 suppliers across Cambodia, we believe that other parts of the country will soon be able to experience the unique quality products that we have been distributing in the urban area. Honesty: distributing the quality and tested brand that is trusted for safety and health insurances for our customers. Community First: Customers always come first. Providing quality products alone is not enough. As part of our culture, we always take care of our customers when needed and asked. We believe that by taking care of our customers, our business will be taken care later. Know what we do: since day one, we knew our goals and capacity. From times to times, we always develop and expand our knowledge and skills to response accordingly with the current demand of this dynamic market. Providing Ceramics floor tiles and bathroom accessory were just a small part of a bigger market. To catch up with the current trends and demands, we now have various kinds of products: Renewable Energy, Sanitary Ware, Stainless Water Tank, Swimming Pool, Water heater System, Water Pump and Water Treatment. The company not only imported TOTO and Ariston products but also GRUNDFOS, POOLSPA, PUREPRO and ATMOR products. Two years of hard work paid off with an exclusive right to dispense TOTO Bathroom Accessory. TOTO has over 100 years of history, and it is one of the unbeatable brands from a country with cutting-edge technology, Japan. TOTO is known across the globe for its durable and high standard products. We were granted a right to distribute the leading Italian brand, Ariston (Water Heater products). Ariston Thermo Group Products is known for life-simplifying technology. The company has been providing life comfort to customers for over 50 years. In the same year, R.A.K Ceramics, the first United Arab Emirates Company to be awarded ISO 9001 certification, followed.